On the 26th November 2017, the James Milner Foundation (JMF) is pleased to invite you to our sixth annual charity ball, ‘The Lost World’ at Event City in Manchester. In a place where dinosaurs roam the land, be prepared to step back in time to a prehistoric world beyond your wildest imagination. Once there you will experience a fantastic three course meal, as well as a first class line up of entertainment that is guaranteed to keep you captivated well into the night. 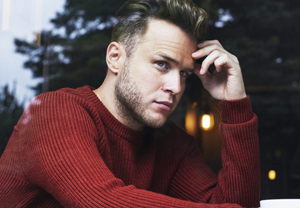 As part of our glittering line-up we are delighted to announce that Olly Murs, the Xfactor superstar with UK number one hits such as ‘Heart Skips a Beat’ and ‘Troublemaker’, will be headlining our Charity Ball. Call 0161 484 0876 for tickets and sponsorship info. ‘The Lost World’ Charity Ball is sponsored by Laduma, the game-changing Virtual Reality content company.